Our two Late Breaking Work articles ARCord: Visually Augmented Interactive Cords for Mobile Interaction and DebugAR: Mixed Dimensional Displays for Immersive Debugging of Distributed Systems (in cooperation with the CGV lab at TU Dresden as well as the MPI SWS in Kaiserslautern) will present our latest research work. 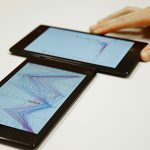 Furthermore, with the CHI interactivity Demonstrating Reality-Based Information Retrieval, we will showcase the prototype of our full paper Here and Now: Reality-based Information Retrieval, which will be presented at the ACM Conference on Human Information Interaction and Retrieval (CHIIR) in March. 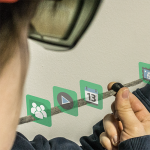 In addition, we co-organize the CHI workshop Data Visualization on Mobile Devices (MobileVis ’18), where we will also present the work Investigating Link Attributes of Graph Visualizations in Mobile Augmented Reality and Hierarchical Graphs on Mobile Devices: A Lane-based Approach. 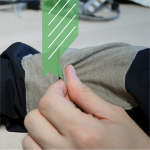 Finally, with our article The Future Role of Visual Feedback for Unobtrusive eTextile Interfaces we contribute to the CHI workshop (Un)Acceptable!?! — Re-thinking the Social Acceptability of Emerging Technologies.